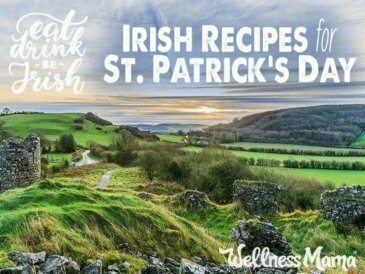 I’ve written before about my Irish heritage and the foods I’ve adapted from my family’s traditional recipes. One traditional Irish favorite that I’ve adapted to my real food lifestyle is Irish bangers & mash. Like many Irish dishes, it involves meat and potatoes, but I make it without the potatoes. 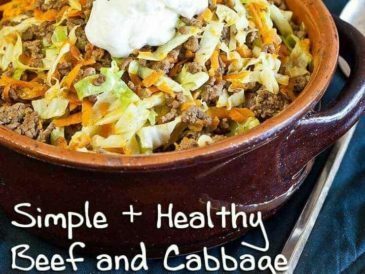 This is a simple and satisfying meal. 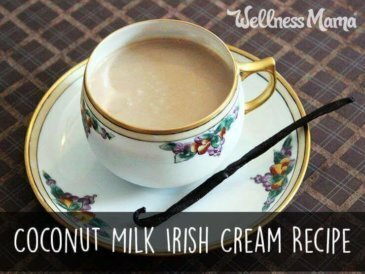 Try it on St. Patty’s Day! 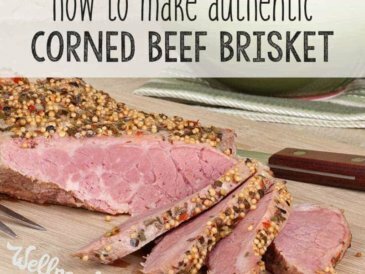 You can also try making a homemade corned beef without the chemicals used in store bought versions so you can make homemade corned beef and cabbage. What is Bangers and Mash? “Bangers” is the term often used for sausage in Ireland and “mash” refers to the potatoes being mashed instead of being prepared another way. The term “bangers” originates from sausages made in the WWII era when due to rationing and food shortages, additives and water were added to the sausages, making them more prone to exploding when cooked. 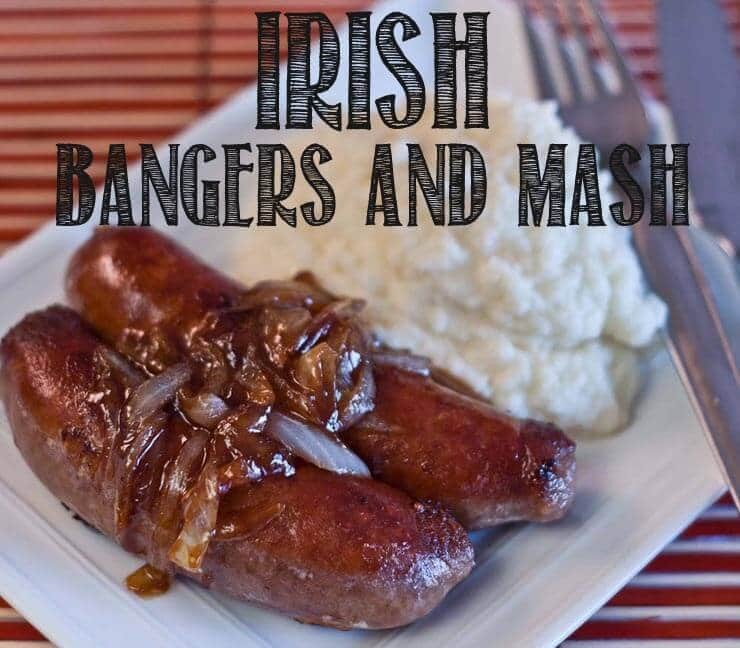 Irish bangers and mash -- a delicious Irish classic. In a large pot, bring 2 quarts of water to a boil. While the cauliflower is cooking, brown the sausages in a skillet over medium high heat. When the sausages are cooked, remove them from the pan and set aside. Slice the onions and add them to the pan. Cook the onions until they are soft and add beef broth to deglaze pan. With an immersion blender or hand blender, blend the cauliflower, butter, cream cheese if using, and spices until smooth. Scoop cauliflower "potatoes" onto a plate and serve with whole or sliced sausage . 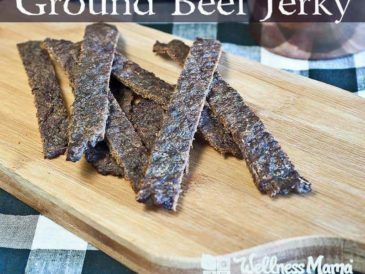 You can use whatever kind of sausage you'd like, but I prefer grass fed beef sausage for this recipe. Ever had bangers and mash before? Willing to try it? Let me know below!